Stephanie Kershaw is the Magento Channel Sales Manager for Middle East, Sweden and Finland. Now, that title might give you the image of quite a formidable businesswoman, but I assure you she’s one of the most hard-working and down-to-earth women I’ve had the pleasure of meeting. She took time out of her busy schedule to come and talk to the women at PushON about her career journey and challenges she’s faced in getting to where she is at Magento. Having built relationships and an ecosystem of tech partners, she rarely comes across female-headed agencies or women in senior roles. Stephanie was pleasantly surprised at the number of women however at an agency like PushON, where you’d typically find one women to every ten men (for the record, our ratio is 7 women to 24 men, roughly one to three. Having not had the greatest experience in school, Stephanie made it her goal to never go back to her small coastal home town of Morecambe. Her real driver in life, and what really gets her out of bed at 4 a.m. is the constant battle to prove everyone wrong. Having built such a successful career, people from school who used to bully her now follow her deemed ‘lavish international’ life from Facebook. She wanted to move away as soon as possible, so at 18 she moved to Bristol to study BA Hons Law and Politics at University. Whilst at university she worked in sales roles, which really demonstrated her people skills and she was offered a full-time role to manage students. Soon after, she left university and went on to work for a nursing agency, Newcross, where she managed about 25 people in an out-of-hours call centre. She soon moved to hosting (which may seem like weird move). Stephanie’s people skills and great suite of sales management experience meant that she had relevant experience and just needed to learn a new industry, and she moved to Southampton after only visiting for 3 interviews to do business development in eCommerce where she started building a channel around Magento in the hosting industry. Working with such big partners, she rarely ever saw any women in senior positions at the companies she’d built relationships with. The typical roles that women would be in were account managers and marketing. This was Stephanie’s first London office experience and she faced brutal comments about being Northern, for example “The fact that you’re Northern and you’re a woman, I can’t believe you’re actually successful” which is the exact statement from a sales manager from an agency she worked with. After four years at Peer1 working in business development and channel, Stephanie moved on to Dotmailer. Where she was responsible for the Magento partner practice following the strategic alliance with the platform and was responsible for all of EMEA. 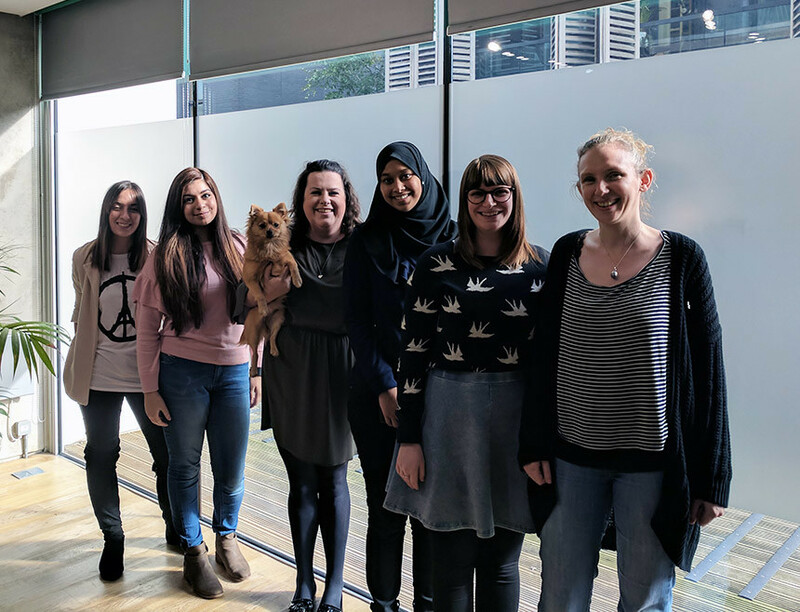 She says that the email marketing industry is a very diverse industry – you’d often see more women than men at award ceremonies, she noticed – which is in contrast to a Magento conference or training event, where Steph would usually see one woman for every ten men. Stephanie is always looking to develop herself and always looking for people to inspire her, but from the beginning her mum’s always been her inspiration. She told us that she’s living a life that her mum would have led had she not been a single parent with children to look after. Stephanie’s always proving people wrong which is what gets her out of bed at 4am, she’s faced rejection and been pushed back in her previous roles. At the speed she’s been going, success should had come in half the time it did, but it’s taken 6 years for Steph to get to the role she is in today which on the salary she is on at 29, is an achievement in itself when you look back at where it all began. It’s really been eye-opening speaking to Stephanie about her career journey. Quite often women are too modest and polite when it comes to applying for a job/ asking for a promotion. Sometimes in certain industries, men can often prove less and get more whereas women have to do more to be recognised – which is definitely something Stephanie felt she had to do. Also, certain attitudes between the genders are perceived differently, for example, if a woman was to shout about her talents she’d most likely be perceived as stuck-up. A really interesting point came up that when women look at a job specification, they’ll look if they can for 9 out of 10 of those jobs and then apply. Whereas a man would look at only 3 and would apply. Although Stephanie is a really confident person, she has a mentor which she recommends to everyone. Often different people have different approaches if you want to get something from them. So Stephanie has done insights training such as the Colours of Behaviour programme to get insight into how clients work. Don’t be driven by salary, do what you are truly good at and keep developing from there.